Trinity United Methodist Church has a story to tell. For nearly 60 years we have striven to be Christ’s church, sharing the gospel with others, and providing comfort, peace, help, and friendship. The first congregational assembly was held in the Gaylynn Theater on August 30, 1953. There were 153 individuals united in forming this church. On September 28, 1953, Reverend Charles Williams became the minister and the church was officially named “Trinity Methodist Church.” In the grand tradition of the Methodist Church, the building, site, and trustee committees were rapidly formed. On December 13, 1953 it was recommended to purchase 11 acres at our present location for a little more than $67,000. Also during this time, the church relocated to the Harvest Club (dance club) to hold Sunday Services. By June of 1954 a master plan was developed. It consisted of three phases: Phase one was to build a fellowship hall (to be used as a sanctuary), kitchen and education rooms. Phase two consisted of building a youth center, chapel, and more educational rooms. The final phase was to build a sanctuary. The building fund began with a $30,000 donation from First Methodist Church of Beaumont. Ground breaking on the fellowship hall was held on October 24, 1954 and construction began on November 7, 1954. The first service was in the new building on December 18, 1955. At the close of 1955 the church membership was 497. 1958 marked the beginning of a new phase in the life of the church. Plans were drawn up, funds raised and the ground breaking commenced on the Educational Building on January 26, 1958. March 10, 1962 marked the groundbreaking of the Sanctuary. September 13, 1964 was consecration Sunday in the new 1,000 seat Sanctuary. In November of the same year, the pipe organ was dedicated. 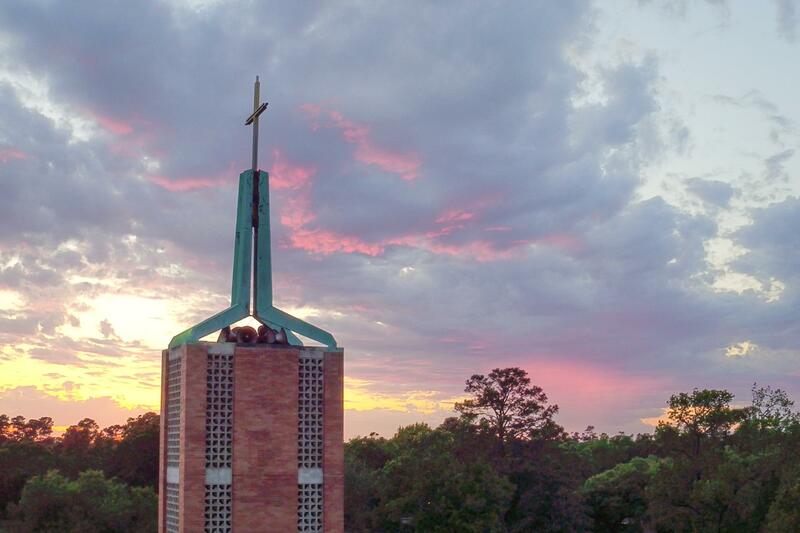 In October 1965, the chapel was dedicated. Every living thing goes through cycles, and Trinity has also experienced a variety of seasons in the life of the church. However, through the good times and the bad times,Trinity has remained a community of Christians committed to bringing Christ into a changing world.